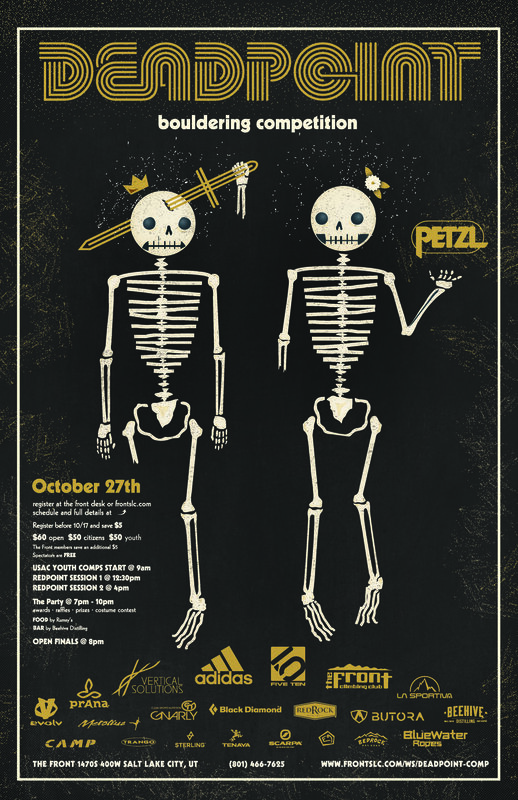 DEADPOINT Bouldering Competition 2018, The Front Climbing Club - We are excited to announce that we will be at this year’s DEADPOINT at The Front Climbing Club on October 27th, 2018 located at 1470S 400W SLC. Wear your best costume and be ready to pull down with best climbers in Utah! We will be there from 6-8pm to cure your photo booth fix.